This infectious disease can pose a serious health risk for those age 65 and older, but two vaccines can offer sound protection. One of the leading health dangers for older adults is pneumonia. It is the most common cause of hospital admissions after childbirth. In fact, adults age 65 and older have a higher risk of death from pneumonia hospitalization than any other reason. Pneumonia is an infection of the lungs by bacteria, viruses, or other microbes. Most cases are caused by the bacteria Streptococcus pneumoniae, Mycoplasma pneumonia, Chlamydia pneumoniae, Chlamydia psittaci, and Legionella pneumophila. 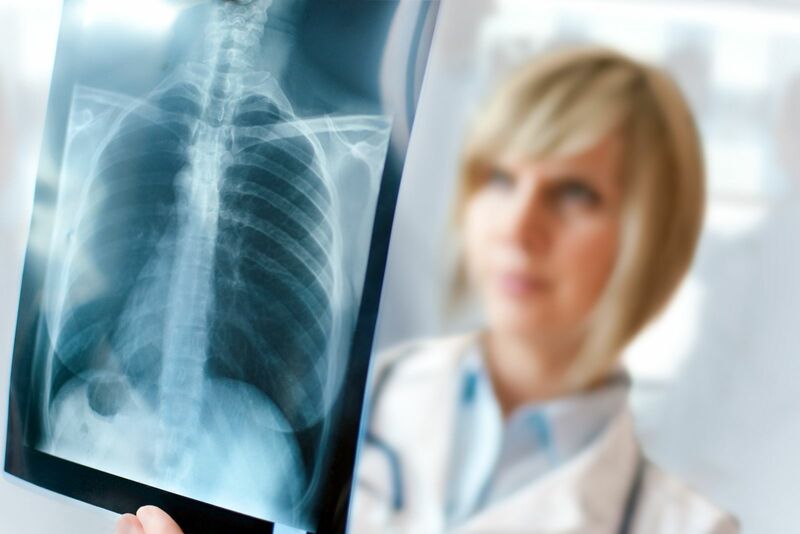 A similar inflammation of the lung, called pneumonitis, can be caused by an inhaled chemical and is more common in people who have had strokes and have difficulty swallowing. A physical exam, chest x-ray, and blood test can confirm a diagnosis. Pneumonia symptoms are similar to the flu: fever, muscle aches, headache, fatigue, and cough. However, with pneumonia, the cough often produces yellow, green, or even bloody mucus. You also may have trouble breathing after activities like climbing a few stair steps, and experience pain when taking a deep breath. Age. Although pneumonia can infect anyone, especially infants and young children, people age 65 and older are at higher risk for complications. Smoking. Smokers are more likely to get pneumonia than nonsmokers, probably because smoking damages the lungs and leaves them more vulnerable. Medical conditions. Immunodeficiencies like leukemia, chemotherapy, radiation, diabetes, and malnutrition can suppress the immune system and increase your risk of developing pneumonia. Others conditions that make you more vulnerable include Parkinson's disease; stroke, which affects swallowing; asthma; chronic obstructive pulmonary diseases (COPD); and heart disease. The main treatment for pneumonia is antibiotics. Pneumonia can last from a few days to a week or longer depending on when you begin drug therapy and if you have other medical issues. In addition to antibiotics, other treatments include rest, adequate fluids, and supplemental oxygen to raise the level of oxygen in the blood. Most people can be treated safely with antibiotics at home. Yet those who are at higher risk of complications, such as those 65 and older or who have other high-risk factors, may need to be hospitalized for two days to a week. The CDC recommends two preventive pneumonia vaccines for adults: Pneumovax (PPSV23) and Prevnar (PCV13). The combination stimulates the immune system more effectively than either alone. The two vaccines build immunity against different types of the bacteria that causes pneumonia. Pneumovax protects against 23 common types and Prevnar protects against 13 types. Adults 65 and older should receive Prevnar first, followed by Pneumovax six months to one year later. If you have already had Pneumovax, you can still get Prevnar and it will still be effective. Medicare Part B covers pneumonia vaccines for adults. Beside getting vaccinated, you can reduce your risk of pneumonia by washing your hands frequently through the day, and seeing your doctor if you do get the flu so you can receive prompt treatment and avoid having it turn into pneumonia.